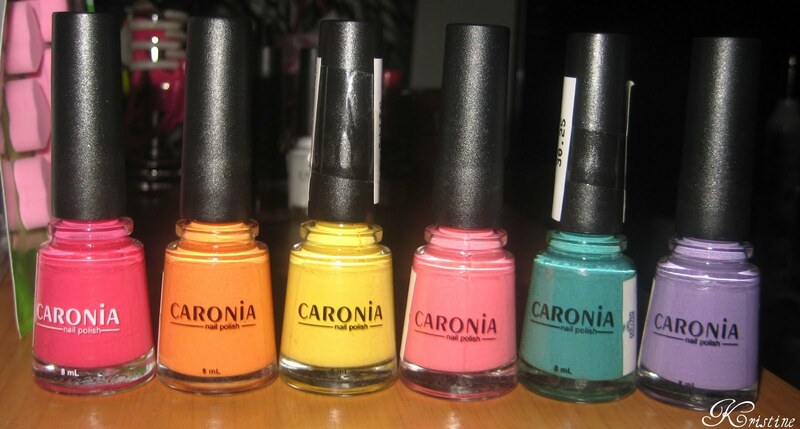 Because I will be doing more nail art tutorials in the future, I felt the need to get a hold of more nail paints. I bought 6 nail polishes from Caronia. except for the red one. I just felt that the color wasn't really exceptional and I have other red nail polishes so I skipped on that one and replaced it with a bright pink. 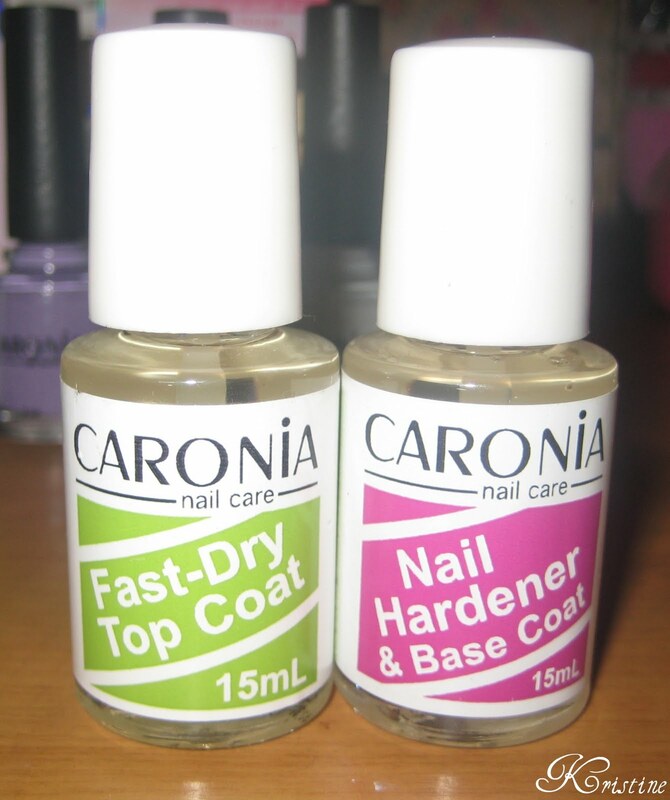 I can say that Caronia nail polishes have a good quality. They may be cheap but the quality is okay. The colors are so vibrant and pigmented and one coat of it would be just fine. and a Nail Hardener Base Coat. The top coat is really amazing. I do nail art and when I use this, even several layers of polishes dry up quickly. The only con is that it doesn't give shine so I suggest you use a clear nail polish on top of it. The base coat does its job well, too. and it doesn't make the polishes chip or break. it didn't leave any yellowish tone. I also got a basic black nail polish and a white one. I mainly use these for my nail arts and the quality is not too acceptable. It's gets too "thick" and I find it hard to apply on my nails. Especially when I do detailed and small designs, it gets too thick that the design gets ruined. 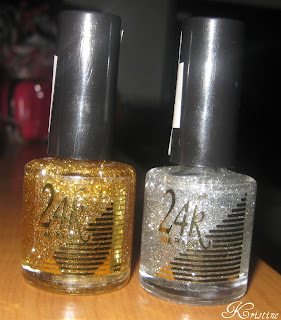 I got the 24K glitters in Gold and Silver. It gives your nails sparkles which is really lovely. 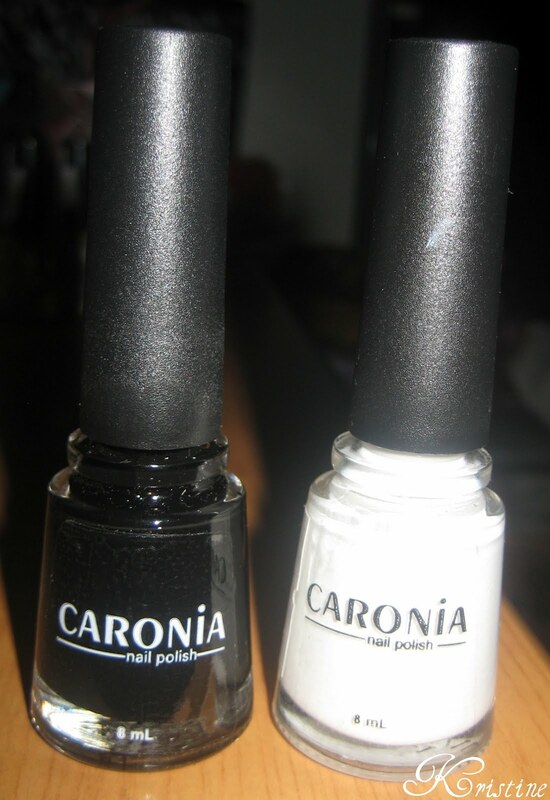 But for the gold one, I noticed that when I apply it on top of a white polish, it kinds of change the quality and the 'whiteness' of the polish and somehow becomes yellowish. The silver glitters is good. I find silver glitters helpful in keeping nail arts last longer. Glitter nail polishes holds it and it also prevents nails from chipping at the tips, especially if you have longer nails. I found this really cool nail polish too so I went ahead and bought it. 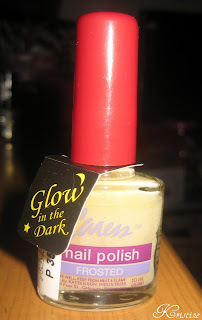 It says Glow in the Dark but I have yet to try it on. I thought it would be perfect for a Halloween nail art design. I got it for P35. 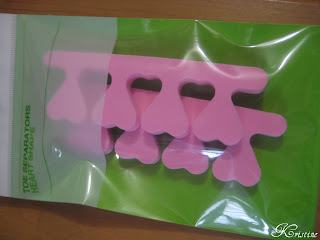 I got these nail separators which I thought was also very cute. It has heart designs which I totally adore. P30 for one pack and it comes in two pieces. I also bought a nail art kit for my nail art tutorials. 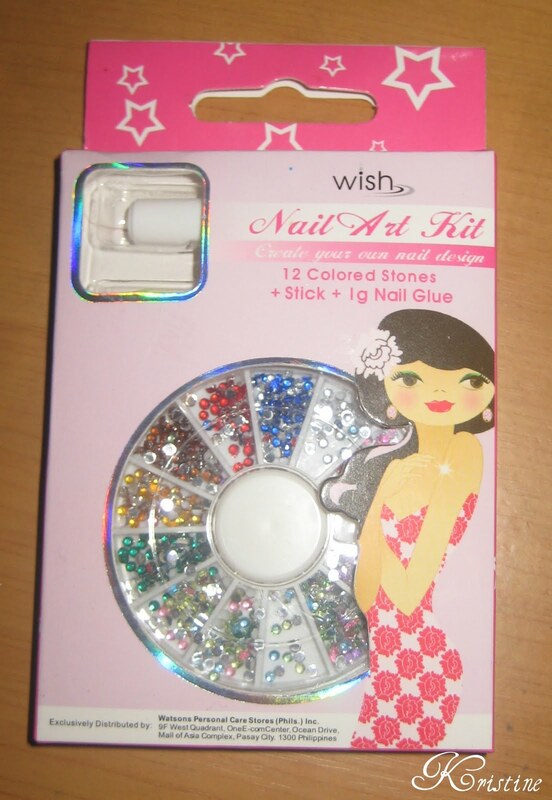 It's a kit that comes with 13 colors of rhinestones and I thought this would be perfect for more sophisticated nail art designs. I have yet to try this product. So, I hope you enjoyed this simple haul.